It’s easy as 1-2-3 to use your Short-Term Disability benefit! 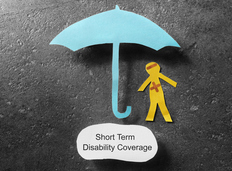 Short-Term Disability was available this past Open Enrollment for the first time this century, and many eligible State employees used this rare opportunity to sign up. We want to make sure you know how and when to use this benefit. More information is available on SEGIP's website or call SEGIP at 651-355-0100. Be sure to use your new CVS Caremark Prescription Card when purchasing prescriptions. You do not have to use a CVS pharmacy. 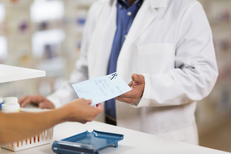 You may use any in-network pharmacy, but specialty drugs must be purchased through the CVS specialty network. CVS Caremark Representatives can answer your questions by calling 844-345-3234. February 28 is fast approaching! 121 Benefits must receive all your 2017 claims and documentation for your pre-tax accounts by February 28, 2018. Any claims received after that date are not eligible for reimbursement. This deadline applies to all pre-tax accounts including your MDEA, DCEA, PKEA, BVEA, and HRA. 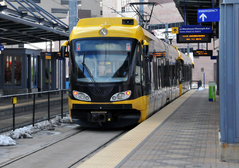 Transit Expenses (parking and bus pass/vanpool - PKEA and BVEA) must be submitted within 180 days of the date the expense was paid or incurred but no later than the February 28 filing deadline, whichever is earlier. Protect yourself by keeping a copy of your submissions and all fax or email confirmations. 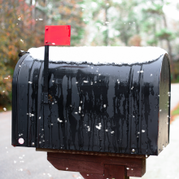 When mailing your request, especially close to the deadline, consider sending it by Certified Mail or Return Receipt to verify that it reaches 121 Benefits in a timely manner. Remember, you cannot use your Flexible Spending Debit Card for reimbursement of 2017 expenses after the start of the New Year. For reimbursement of 2017 expenses, use paper or electronic filing. To submit your claims or get answers to your pre-tax questions go to the 121 Benefits website. 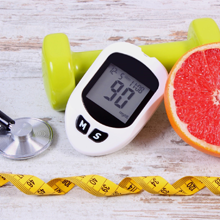 Advantage Value for Diabetes (AVD) is a new benefit for adult members who have been diagnosed with Type I or Type II diabetes. This benefit reduces your costs for diabetes-related high-value medical services, prescription drugs, and testing supplies. AVD is a pilot program developed by SEGIP and participating employee unions. This program reduces or waives copays and coinsurance for eligible diabetes-related services for all cost levels, with minimal out-of-pocket costs in Cost Levels 1 and 2 and modest costs in Levels 3 and 4. No need to enroll. Your health plan administrator or CVS Caremark will automatically apply the benefits once you’ve received an eligible medical service for diabetes or filled a qualifying diabetic prescription medication. To be eligible for AVD, employees and family members age 18 and older must be enrolled in the Minnesota Advantage Health Plan and have been diagnosed with Type I or Type II diabetes. Members previously enrolled in the Diabetes Medication Therapy Management (MTM) program will automatically transition to this new benefit. Visit SEGIP's website to learn more about the program. If you have questions about AVD prescription drugs and testing supplies, call CVS Caremark at 844-345-3234. Call your health plan claim administrator at the number on the back of your member card with questions about medical care or diabetic equipment (i.e., insulin pumps). Your beneficiary designation determines who will receive your life insurance proceeds when you die. Over time, events such as marriage, a new child, or the death of a loved one may change the intent of your life insurance designation. A periodic review of your beneficiary designations will help ensure your assets get distributed as you intended. The employee is automatically the beneficiary for any spouse or child life coverage and no other designations can be made. 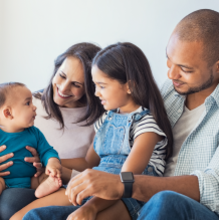 You can update your life insurance beneficiary (state paid and optional employee coverage) and Accidental Death and Dismemberment policy (AD&D) through Securian (Minnesota Life). Securian offers a secure website that protects your privacy while ensuring your beneficiary information is available when it’s needed. Minnesota State Retirement System (MSRS) handles beneficiary designations for your pension plan account, deferred compensation accounts, and Health Care Savings Plan (HCSP). Log on to the MSRS website or call them 651-296-2761 for more information on how to review your designations for these accounts. 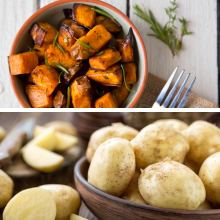 White potatoes versus sweet potatoes: Which are really healthier? Think sweet potatoes are healthier because they are a vitamin A superfood? Should you avoid white potatoes because they will make your blood sugar and appetite spike? Or should you avoid both altogether because of carbs? Here’s how these tubers compare – and why they both deserve a place in your diet! The 121 Benefits mobile app lets you access your pre-tax accounts anywhere, anytime. You can view account information, submit claims, get account notifications via text messages, report a debit card as lost or stolen, and check balances. It does it all. 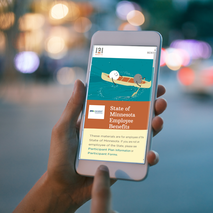 Get started by downloading the “Benefits by 121 Benefits” app from the App Store or Google Play. Questions about the mobile app? Go to the 121 Benefits website, email them at 121 Benefits customer service, or call 612-877-4321 or 800-300-1672. 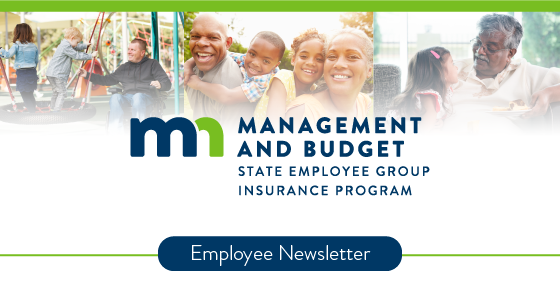 The Minnesota Advantage Health Plan Summary of Benefits describes your medical and pharmacy coverage under the State Employee Group Insurance Program. 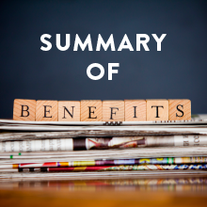 The 2018-2019 document is posted on the SEGIP website at 2018-2019 Advantage Summary of Benefits. Questions? Call SEGIP at 651-355-0100. Health discounts. Healthy savings. Healthy lifestyle. As an Advantage Health Plan member, you have access to discounts. These discounts are on top of the insurance benefits that you have through the Minnesota Advantage Health Plan. Their Healthy Discounts℠ program gives members access to big savings. Getting discounts is easy. Simply show your HealthPartners’ member ID card at the retailer to receive your discounts. You can see the discounts for each retailer by logging on. Blue365® is the BCBS program that helps members stay healthier for a well-balanced lifestyle. Check out the wellness discount marketplace. 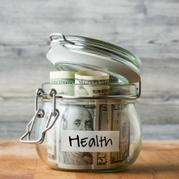 PreferredOne partners with a variety of health and wellness organizations to provide discount programs and services that help you save money on the road to better health. Login to your member discounts to learn more. We all feel stressed from time to time. Sometimes it can help you focus and get the task at hand done. But when stress is frequent and intense it can harm your health. There are effective ways to manage stress. 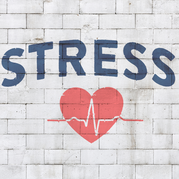 Check out this popular article Understanding the Stress/Health Connection on the LifeMatters website (password: stmn1). The LifeMatters website has additional resources. They also have caring professionals available to assist you with your concerns about life, work, family and wellbeing 24/7, call 800-657-3719. Try the Stress Less Daily Dash, an online mini challenge. It helps you put tips on managing stress into practice. Log on to your StayWell account to get started. Check out this TED article. It explains the benefits of framing your goals as want-to instead of as have-to. Want-to goals reflect your real interests and values. Learn two relaxation techniques with the help of a virtual coach. Dealing with Stress covers how stress impacts your mind and body. It’s available to review by all SEGIP members. Did you know not all stress is bad? This article Five things about stress covers the positive and offers ways to cope with stress and when to ask for help from a health professional. It’s available to review by all SEGIP members. February is National Heart Health Month. Visit the website to find the message. Learn about risk, warning signs and take a quiz about the myths and facts of heart health. It’s available to review by all SEGIP members regardless of their medical plan. Spot risk factors that you can change to help prevent high blood pressure. Read up on how taking care of your mood and practicing gratitude can help reduce your stress. Your employee insurance benefits provide you a variety of services to help manage stress, includes mental health and chemical dependency services. For more information, call the number on the back of your Minnesota Advantage Health Plan (medical) ID card. Resolutions we make tend to be forgotten about 10 days into a new year. 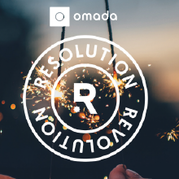 Keep your healthy habits resolution going in 2018 and give yourself a sneak preview of Omada, by checking out the 5-week Resolution Revolution challenge. There’s no signup required. The 1095-Cs are posted in Self Service for those who opted to receive them electronically. The rest were mailed by February 1, 2018. You will receive one if you were an insurance eligible full-time employee or enrolled in the Minnesota Advantage Health Plan at any time during 2017. The IRS Form 1095-C reports the months your employer offered you health insurance coverage. It is provided to both you and the IRS. Taxpayers are required to report health insurance coverage for 2017; the Individual Mandate was in effect for that entire year. Keep your 1095-C with your tax records. You don’t actually need this form in order to file your taxes, but when you do file, you’ll have to tell the IRS whether or not you had health insurance for each month of 2017. By keeping the Form with your other 2017 tax information you will have it in the future to prove you had health insurance. You can find out more about the IRS Form 1095-C on the SEGIP website.